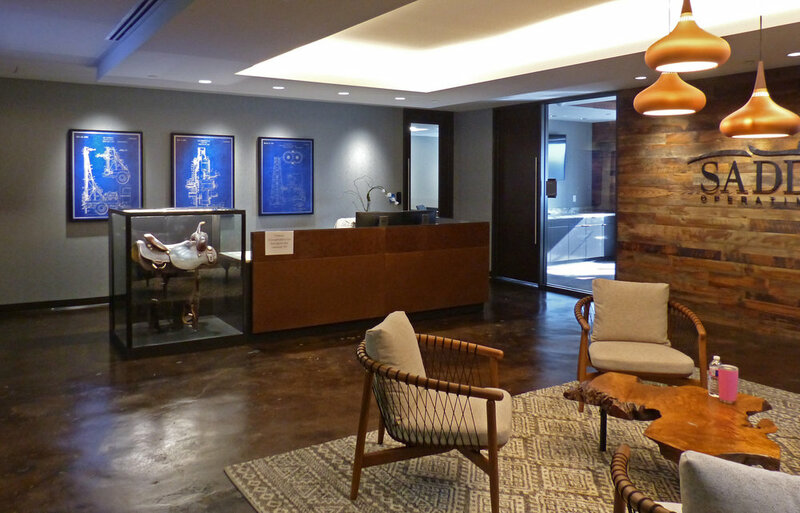 Since 1988 Art Dallas has aided designers, owners, and corporate executives in realizing their vision for artwork within their interior space. By coordinating and combining a custom array of shapes, materials, textures and finishes, we’ve delivered solutions which have assured our clients a unique and lasting statement reinforcing their mission and visualization. Whether it's hospitality, healthcare, corporate or a single family residence, Art Dallas has helped thousands of professionals achieve a lasting statement as well as an on-budget, on-time project. Our mission is to encourage and promote creative artistic expression both locally and throughout the world. We utilize the finest materials and designs to manufacture custom artwork and accessories in collaboration with the finest contemporary artists. Art Dallas's tradition of excellence in design and craftsmanship allows us to accept a professional position in the design industry. When creating a dynamic, personal statement in your interior space, Art Dallas does it all, with sensitivity, skill, and care. We're here to help you. 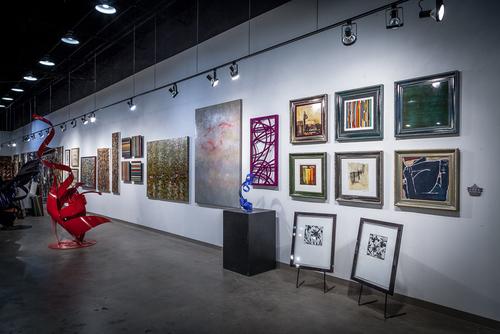 The Gallery is an 8,000 square foot showroom in the Dallas Design District. 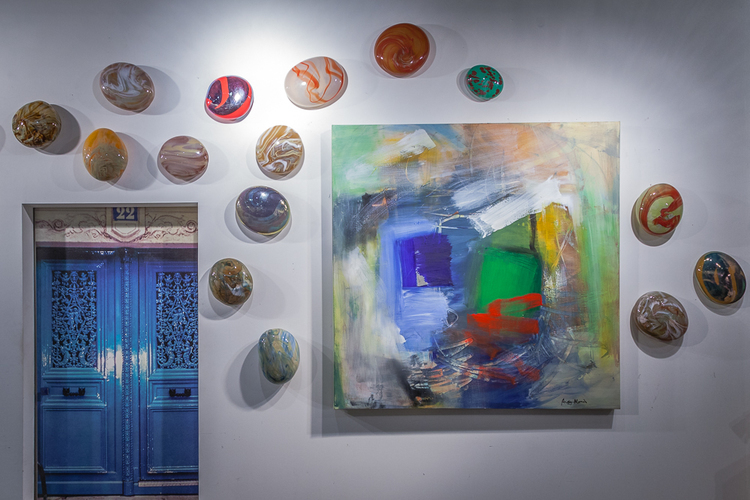 It's an open space design showcasing our extensive collection of original art and sculpture as well as our own Art Dallas products such as Flash, Antique Mirror, and our aluminum, copper, and canvas prints and murals. Frame and mat samples are featured in an adjacent open space to facilitate framing design. The Art Dallas frame shop has over 5,000 frames to choose from. 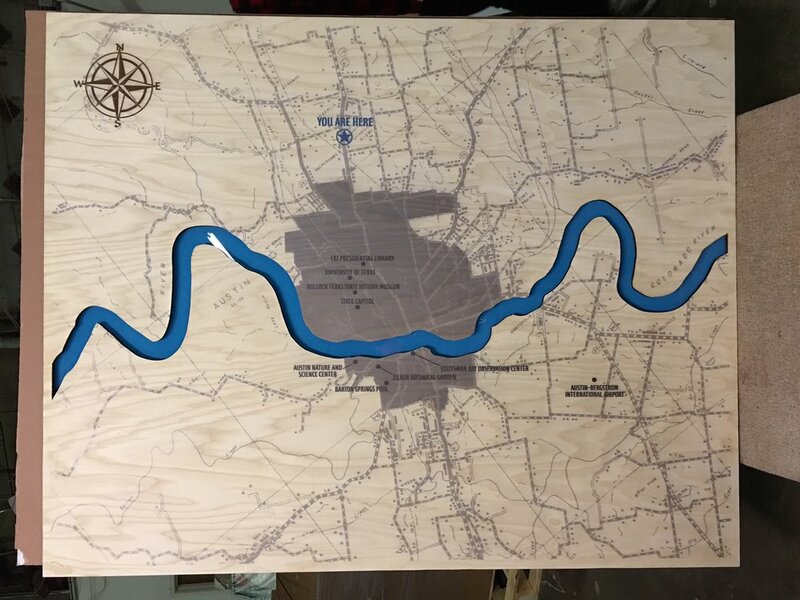 Each design project whether large or small can be beautifully framed. 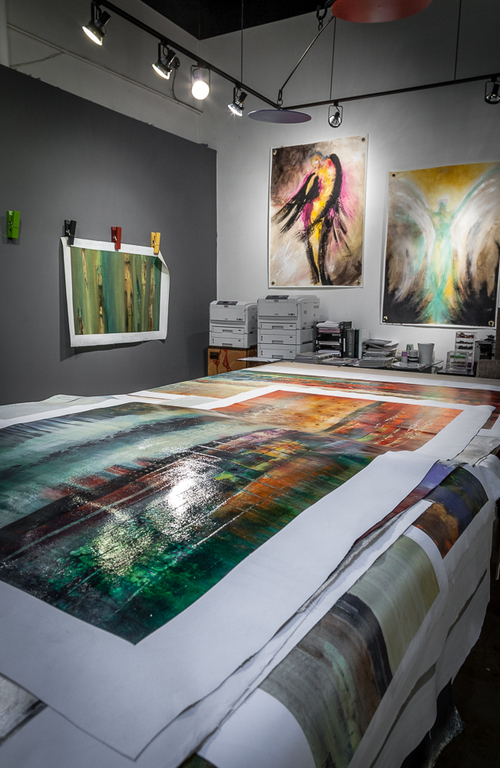 Art Dallas started large format printing in 1993 - refining the hardware, software, media and inks for its digital printing process to the point it's now an integral part of our core business. 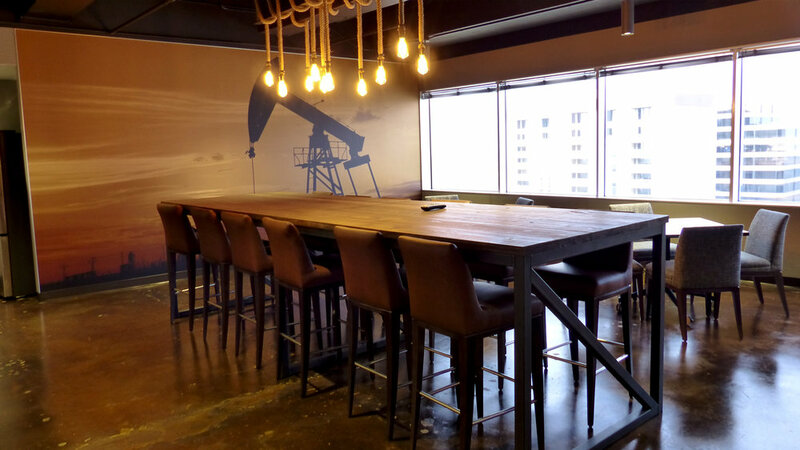 We now have a flexibility that's unequaled - we can provide creative design solutions ranging from prints on traditional papers, canvas, murals and wallpaper, as well as alternatives such as aluminum, acrylic, wood and more. We are a complete art resource for every one of your needs. Our studio has more than 30 years of experience creating original artwork, printing, close corner framing and antique mirror in house. 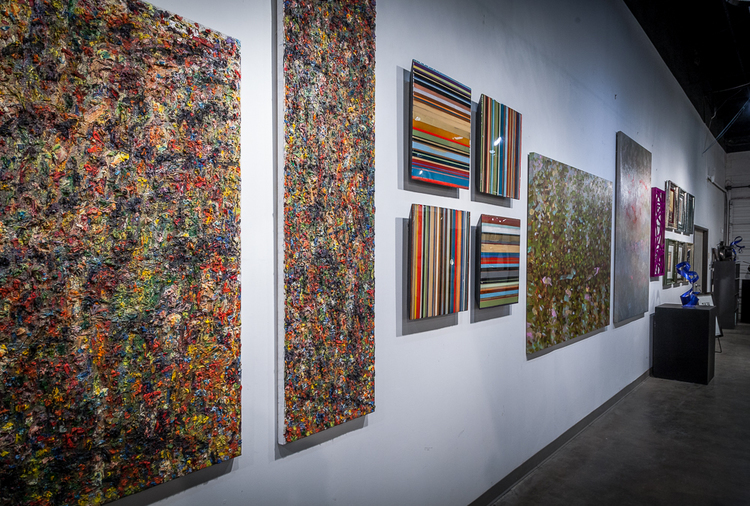 Trinity West Fine Art is our new gallery and art center space located next to Art Dallas in the Design District. It's dedicated to promoting North Texas art and artists; featuring new shows approximately every two months.